El Cinco de Mayo, ​ fecha de la conmemoración de la Batalla de Puebla, marca la primera vez que el ejército mexicano pudo derrotar a una potencia extranjera mejor preparada, en este caso los franceses. 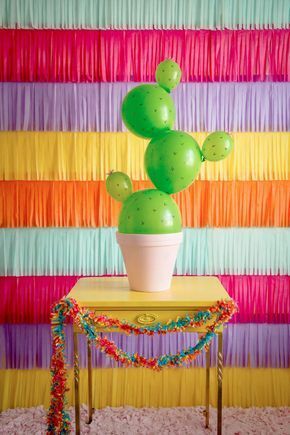 El 3 de mayo de 2018 a las 4:30 PM los invitamos a participar en esta divertida manualidad en la que niños de 6 a 13 años podrán crear su propia maceta de cactus utilizando globos. Todos los materiales serán proporcionados por el grupo de amigos de la biblioteca. Barbara Bush Branch Library received a wonderful donation recently. Local artist Harrison Nobles donated his work "Seasons." It is proudly on display on the 2nd floor near the study rooms. Here's Mr. Nobles' description of his work. "Seasons" is paint, coffee grounds, and stir sticks on panel. I cannot throw away a stir stick when I exit a coffee house. It is perfectly good wood that has been swirled around in a new coffee that no lips have touched. I hope people "get" the sweat or condensation dripping in the summer portion. The painting got the biggest compliment when a lady said " I want to remove everything from my living room and decorate around this piece " Unfortunately she didn't have the money and she gave her blessing for me to give it to the library. She will get one of my paintings later." Thank you Mr. Nobles for sharing your art with our library community! The Kingwood Library held a special SAGE program on Tuesday June 6th featuring a live Ebru demonstration with Artist Nihal Sonmez of the Islamic Arts Society. What is Ebru? Unesco.org describes it as "the traditional Turkish art of creating colourful patterns by sprinkling and brushing colour pigments onto a pan of oily water and then transferring the patterns to paper. Known as marbling, this art is commonly used for decoration in the traditional art of bookbinding." Event attendees heard a brief history of Islamic arts and then watched as Ms. Sonmez demonstrated how to marble an image of a rose. Later, participants had the opportunity to create and marble images themselves! It was a fun, enjoyable, and educational morning. The Maud Marks Library invites YOU to come celebrate local artists with us this week. We have so many opportunities for you to meet the many artist living here in Katy and the Houston area. First, join us tonight, Monday April 17, at 6:30 pm as Gilberto Mello talks about his art and creative process. Rick Spacek will be here tomorrow, Tuesday April 18 at 6:30 to give his artist talk and show ups what it takes to carve wood. On Thursday April 20 at 3:30, Zineb Trifi will be at a very special TeenMakers to show teens and pre-teens the creative side of painting. Finally, on Friday April 21, join all our artists for a special Meet the Artist reception at 7 PM. Come view theier work and find out how they get their inspiration! 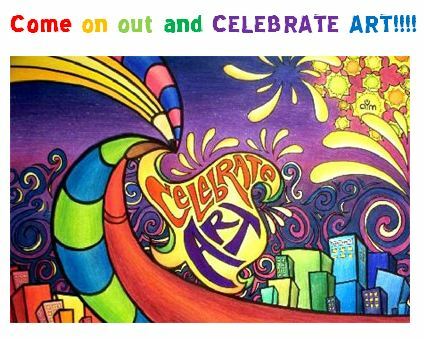 Come join us as we Celebrate Local Artists this month!